Some years ago, I wrote a post about how to make your mattress more comfortable with a mattress pad. Today, I bring you another post about how to improve the quality of your sleep by making your mattress just a little cooler, which is particularly helpful if you are experiencing very hot weather like we are right now in Dar es Salaam. This post is a guest post by Will. Enjoy! Hot nights keep you awake, tossing and turning in your bed? I know the feeling too well! It’s so frustrating to wake up in the morning more tired than you were when you went to bed. But it’s challenging to find the right balance when you’re up against high temperatures. That’s why I think it’s vital to learn a few tricks which can help us sleep better even during hot nights; and some of these methods are, in fact, utterly forthcoming and easy to apply. One of the brightest things we can do is try to cool down our mattresses since they are the ones we sleep on for the entire night. Here are a few solutions I discovered to be extremely beneficial on those hot nights when you crave sound slumber. 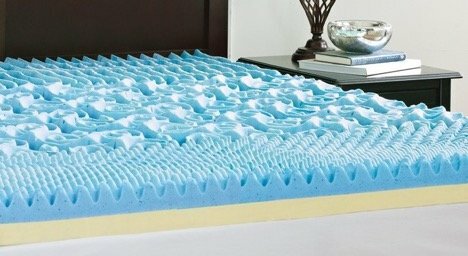 There are several models of mattress pads on the market which are primarily designed for reducing the body’s temperature – and this is just one way to make your mattress more comfortable. I’m talking about gel toppers, gel memory pads or even pads that circulate water at a pre-scheduled temperature of your choice, to keep you fresh while sleeping. Also, remember that an ideal choice for hot nights is to use all-cotton or bamboo sheets and lightweight covers made of natural, breathable fibers. I know a water mattress would be the perfect option for those blazing nights, but not everyone can afford to switch beds according to seasons! You could use water-filled pillows, though, especially since there are models that allow you to adjust their height and saturation. Unlike regular products, these items can limit the heat load. These specific products are made from gel-infused memory foam. Their main feature is to take in your body heat and distribute it equitably during your rest. But there are also cotton toppers, which feel great against your skin and let the air flow freely in the comfortable layer of space created between your body and the mattress. Wool toppers are also great because they naturally keep you dry and sweat free (plus, they protect you from allergens). Smart mattress covers or protections are the newest technology on the market, and they are marvelous! 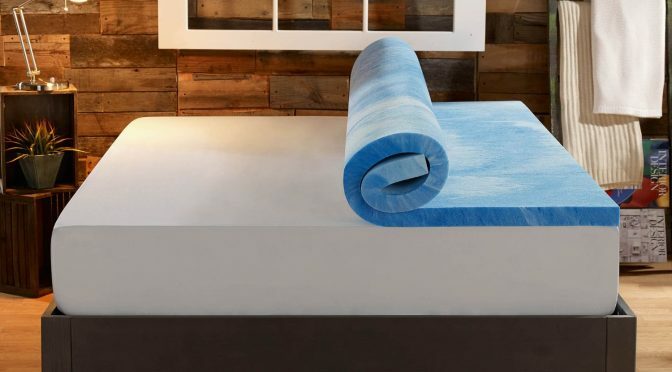 One awesome gadget is the cooling mattress protector, initially dedicated to astronauts: it has a waterproof base, a thermo-regulator fabric layer, and a breathable cotton top. Due to this particular composition, it will absorb your body heat during the night, store it and then discharge it when necessary. I think this is an outstanding invention, and it’s so great that it’s available now for everyone, not just space explorers. You could also get smart by acquiring an original cover which can cool the mattress down and even control the bedroom environment for you. Such products are top-notch nowadays, so ask for one when you go to a retailer to try mattress after mattress until you find the right one for you. One simple trick to allow air to circulate below your mattress (and thus help it maintain the right temperature) is to put wooden boards underneath your bed, keeping plenty of open space between them. If your bed can’t be modified, you could try to exchange it for a model that allows full airflow underneath. Remember that excessive body heat, accumulated over time, will only soften your mattress (especially if it’s memory foam) and you will experience more discomfort every night. In the end, the bed will lose its supportive shape, and you’ll have to buy a new one a lot sooner than necessary.